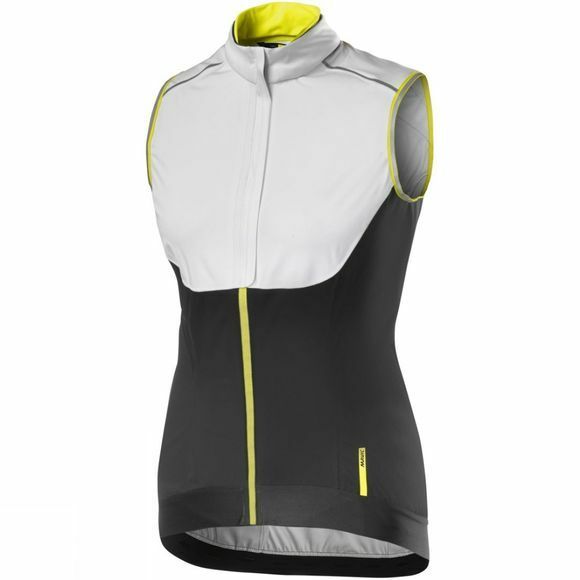 The Mavic Women's Vision H2O Vest combines rainproof, wind chill material and optimised visibility features making it perfect for cold weather and low light conditions. The Dura Rain ST material provides rainproofness, stretch and breathability with a super soft touch while strategic yellow colour and 360° reflective highlights allows night time visibility. Feather light 2.5-layer membrane offers high mechanical stretch, close fitting and Pro Fit construction eliminates flapping while riding and the Exo Grip external elastic gripper with silicone provides maximum grip and elasticity. 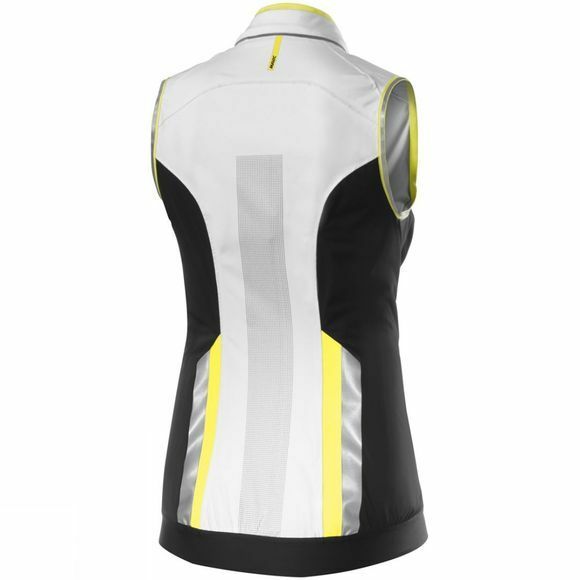 Other features include drop tail for lower back and saddle coverage from tire spray, rainproof front zip and rainproof taped seams for additional protection and a wider reflective dot panel on the back that creates explosive visibility when illuminated without sacrificing breathability.